This past weekend, an auction was held for Chip Reese's estate. Reese's house has been on the market for about a year with an asking price around $6M. But now the house and the valuables inside it are going up for auction. The big rumor going around today is that a casino magnate wants to buy the house, tear it down, and build a bigger house. Makes sense. That's what casino magnate kind of do. While the estate is asking $6M for the house, most we've spoken with think it'll go for something closer to $3.5-4.5M. View the auction info site here. Adulation for Chip Reese, who died in his sleep at the age of 56 after succumbing to a sudden case of pneumonia, continues to pour in from the poker community. Doyle and Todd Brunson (through Lara Miller, PR for Card Player) and Gus Hansen have all weighed in. Read Gus Hansen's poignant tribute after the jump below. Or read their statements on 2+2 here and here. Finally, read Chip's high school alumni website (Centerville, class of '69), where Chip's sister confirms he died from pneumonia, here. At a WPT Boot Camp in the Bahamas earlier today, T.J. Cloutier broke the news of Chip Reese's death to the attendees. Cloutier said that Chip "never said a bad word about anybody" and that Reese was the "greatest poker player that ever lived." Watch the clip below or here. 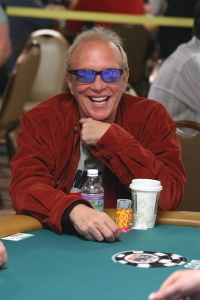 Rumors are circulating among pros and people in the industry that poker legend Chip Reese passed away this morning. 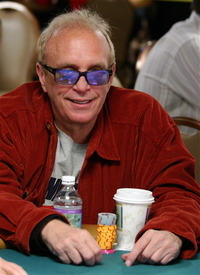 Reese, 56, was regarded as the best all-around player in the game since he broke into the poker scene in the mid-70's. A noted high-stakes player, Reese also won three WSOP bracelets, including the inaugural $50,000 H.O.R.S.E. event at the 2006 WSOP. Reese was the youngest living player to be admitted to the Poker Hall of Fame. UPDATE 1: Receiving more and more confirmations from insiders that Reese passed away in his sleep. Chip had not been feeling well lately, (supposedly with flu symptoms or pneumonia) but had not been able to pin-point the exact reason why. The story also just made 2+2 and Full Contact Poker. Ok, maybe we're overstating "things" in the headline there, but for well over 20 years, Chip Reese has been recognized by his peers as one of the--if not the--best poker player in the game. While we'd be about as apt to play a hand in a cash game against Chip as we would be apt to wrestle a full-grown grizzly bear (ie, not very apt to), Reese has never really had that "signature" win or recognition point with John Q. Public, mostly because he doesn't play many tournaments. But in a field of poker's elite, Reese came through, winning the $50,000 H.O.R.S.E. event after out-dueling Andy Bloch for a WSOP record breaking seven hour heads-up battle. For the win, Chip banks $1,716,000 and his third bracelet. This one meant a lot to Reese, who told Card Player magazine, "It was important to me, cause all my friends wanted to win it too. We all talked about it for a long time." The rest of the final table payouts were: 2) Andy Bloch - $1,029,600, 3) Phil Ivey- $617,760, 4) Jim Bechtel - $549,120, 5) T.J. Cloutier - $480,480, 6) David Singer - $411,840, 7) Dewey Tomko - $343,200, 8) Doyle Brunson - $274,560, 9) Patrik Antonius - $205,920. * Image from Card Player.